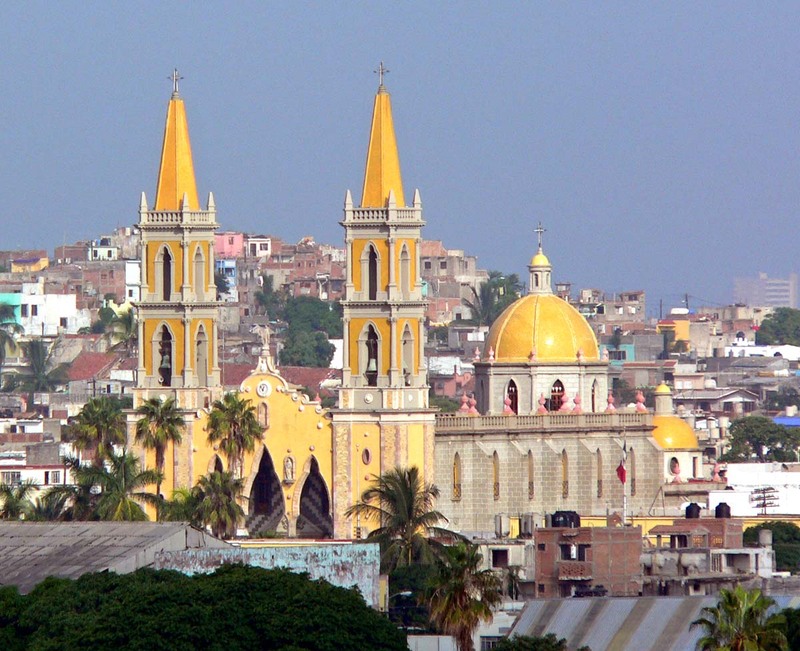 There are a total of 27 basilicas in Mexico. 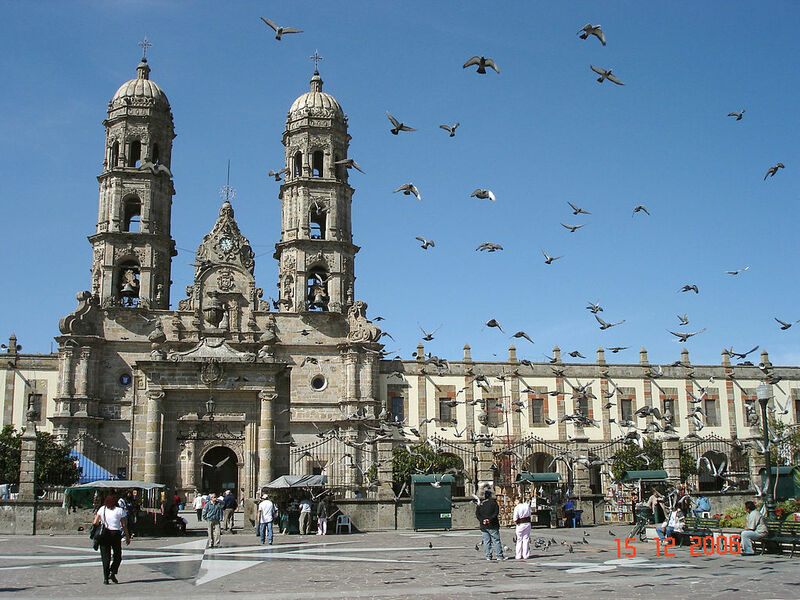 It is the main Catholic building of the city of Aguascalientes in Mexico, and one of the emblematic monuments of the city. It is located in the Plaza de la Patria. The construction of the current temple was initiated by the priest Antonio Flores de Acevedo in 1704, finishing the parish priest Manuel Colón de Larreátegui in 1738. The image of the Virgin of the Assumption was brought from Spain. The construction consists of atrial bard composed of quarry pillars and trellis with lateral accesses and to the north a sundial on a pillar. Twin towers showing a neoclassical style on their curved pediments. The main front of the temple is in its entirety carved in pink quarry, which consists of three bodies and auction; In the first one the access is through an arch of half point with key of archangel; To the sides salomonic columns of vegetal reliefs and compound capital. In the lateral façades, the doorway of the accesses with a semicircular arch is highlighted, flanked by smooth columns that support entablature with broken fronton and florones at the sides. 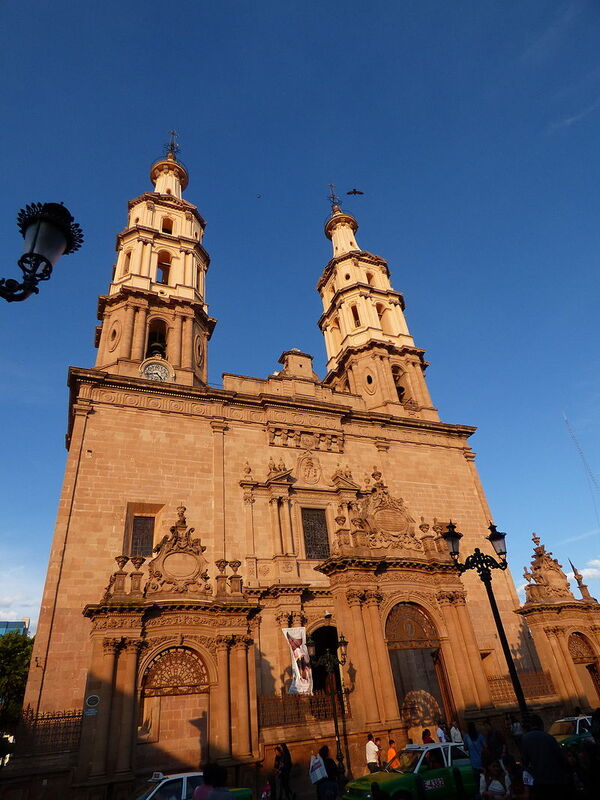 The Cathedral Basilica of Durango was founded as the Chapel of the Immaculate Conception in the early colonial period. It became the cathedral in 1621, but the building burned shortly thereafter in 1634. It was rebuilt in the middle of the 18th century at the height of the city’s mining prosperity, but only a quarter of the construction from that period remains. The church remains dedicated to the Immaculate Conception, which is depicted on the main altar. It also contains Byzantine vaults and a cupola with paintings of angels.Underneath the cathedral runs the Mining Tunnel, also known as the Cathedral Tunnel. It was a mining shaft which also doubled as a secret passage. Today it is a museum. The first cathedral was built in 1541 on the site of the present Templo de Santa Maria de Gracia. This primitive church was built with adobe and a thatched roof. Nevertheless, in 1548 the region was declared a diocese by the Holy See and the church became the cathedral of the city. On May 30, 1574, during Mass, neighbors fired shots into the air. Some of the bullets fell onto the cathedral and started a fire, severely damaging the building. Work began on a new cathedral designed by master architect Martín Casillas, which was commissioned in 1561 by King Felipe II, but progressed slowly because of scarce funds. The new cathedral was completed in February 1618. 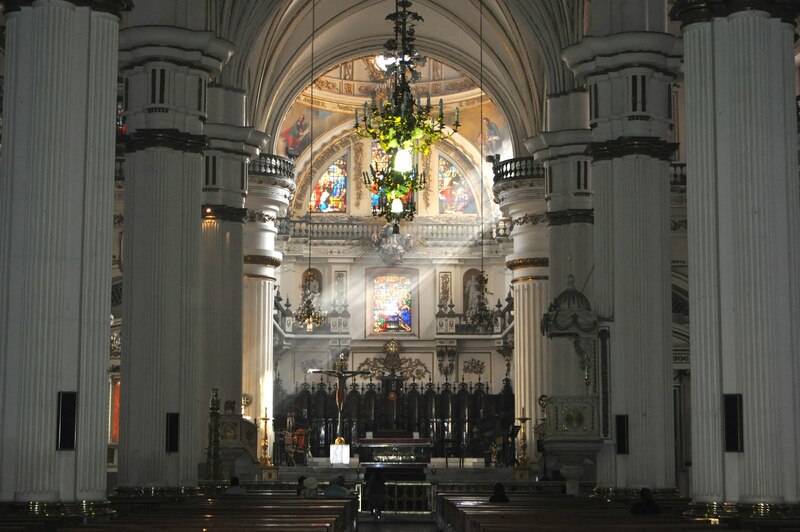 Finally in April of that year, the Blessed Sacrament was moved from the former church to the new one; however, it would not be consecrated until October 12, 1716. In 1818, an earthquake shook the city, causing the towers and the dome to collapse. These were replaced, but the new structures were destroyed by a subsequent earthquake in 1849. The new towers were designed by architect Manuel Gómez Ibarra. Construction took three years and cost 33,521 pesos. The new structures were completed in 1854. Pope Pius XII elevated the cathedral to the rank of Minor Basilica. Currently, the cathedral continues to be in danger: it was damaged by earthquakes in 1932, 1957, 1979, 1985, 1995 and 2003. Current threats include a slight tilt of the north tower and structural damage to the dome. The cathedral occupies an area that is 77.8 x 72.75 meters. 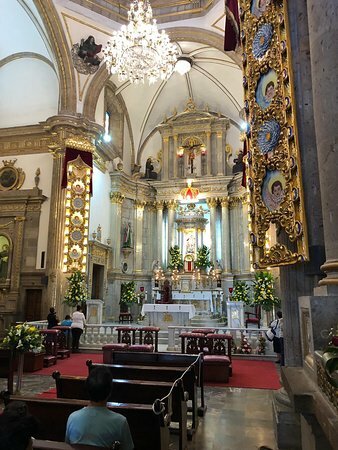 It contains altars dedicated to Our Lady of the Assumption, Our Lady of Guadalupe, Our Lady of Sorrows, Our Lady of Zapopan (patron saint of Guadalajara), Saint Dominic, St. Nicholas, St. Thomas Aquinas, St. Christopher and St. John of God. 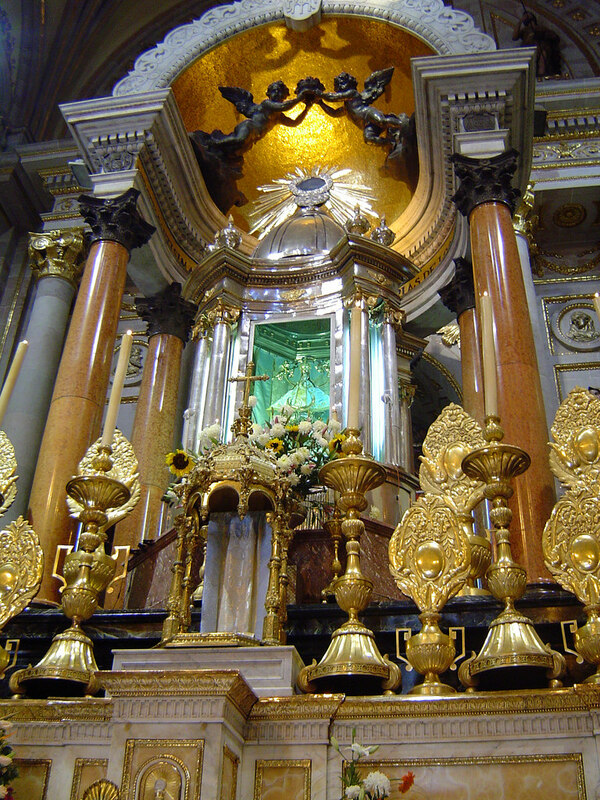 The altar is made of marble and silver. The stained glass was imported from France. also called León Cathedral. 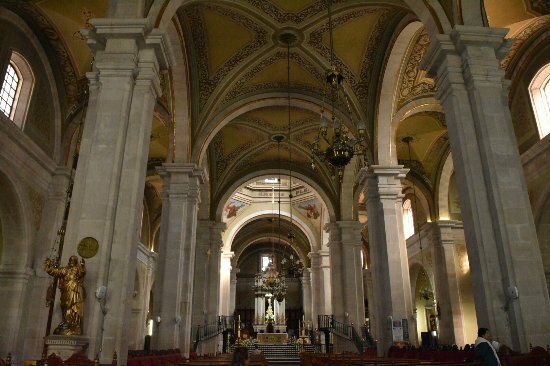 It is a church of Catholic worship, located in the historic center of the city of León, Mexico. It is the headquarters of the Metropolitan Archdiocese of León. It was consecrated in 1866. 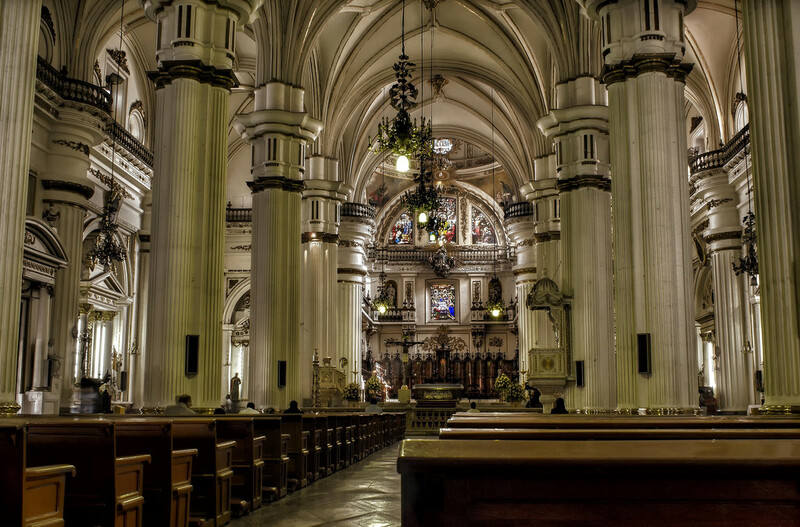 The construction of the Temple of the New Company, future seat of the cathedral began in 1764, the return of the Jesuits to the city, which had left a year earlier because its temple of the Holy School or Companía Vieja, was extremely deteriorated. The new temple would be dedicated to the Virgin of Light, but with the expulsion of the Jesuits in 1767 the works were paralyzed. The Diocese of León was founded on February 21, 1864, immediately after entering on duty their new bishop Monsignor José María de Jesús Diez de Sollano, the completion of this temple, which is popularly known as New Company and was established as set out cathedral. By then they were already concluded the vaults (1833-1837), the first body of the eastern tower (1864) was revamped, the largest bell weighing 4.5 tons was cast in the months of December 1865 and January 1866. 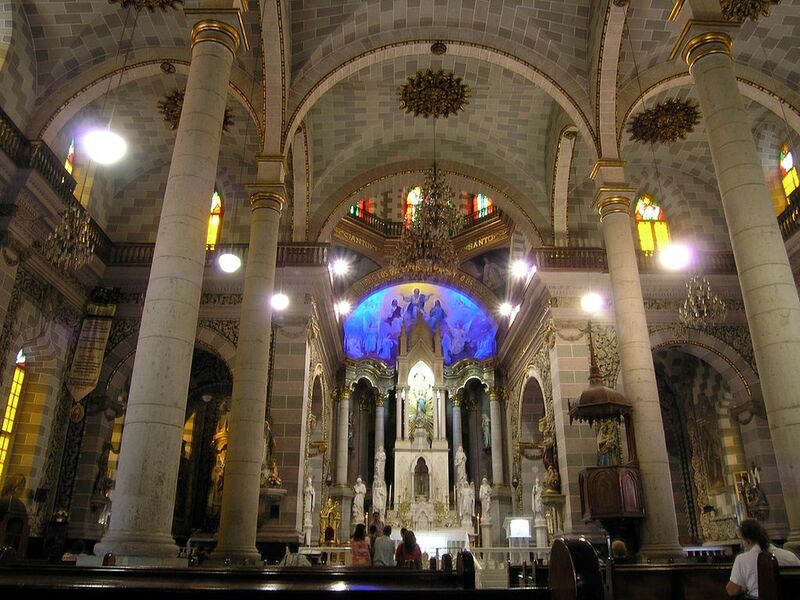 Also Mazatlán Cathedral Is the main religious building in the city of Mazatlan, in Baroque-Revival style of Sinaloa, Mexico, and home of the Catholic Diocese of Mazatlan. It is located in the historical center. The works of the temple began in the year of 1856, by order of the then bishop Pedro Loza and Pardavé. Later, the parish priest Miguel Lacarra takes over the works and it is for this that they are concluded in the year of 1899. The consecration of the temple like basilica was realized 12 of December 1941. It consists of basilical plant, with three naves, which have the same height. It has an octagonal dome with lantern, crowned by an iron cross. The towers are of two bodies and present shots in the form of truncated prisms, which are crowned by a cross. 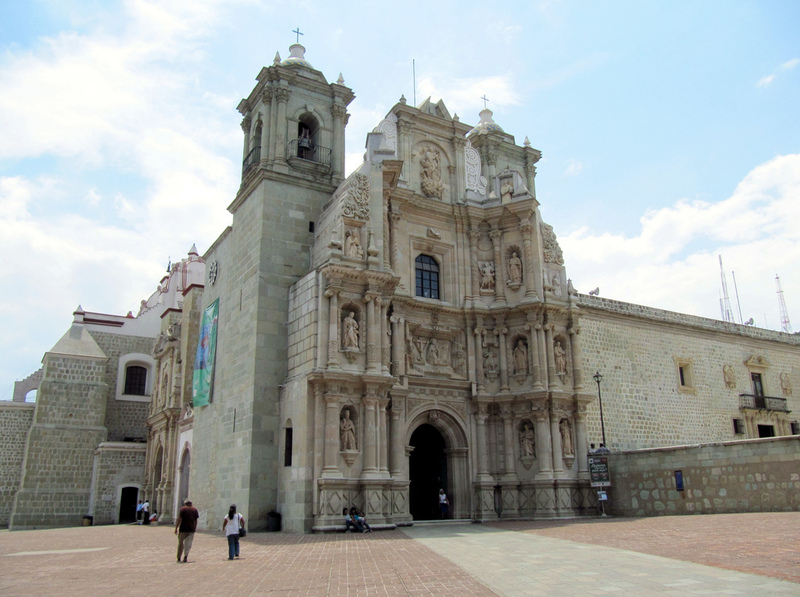 The Basilica de la Soledad in Oaxaca City is the most important religious site in the entire state of Oaxaca. Architecturally, it is notable for its 24-m (79-ft) high Baroque facade and its heavily gilded interior. 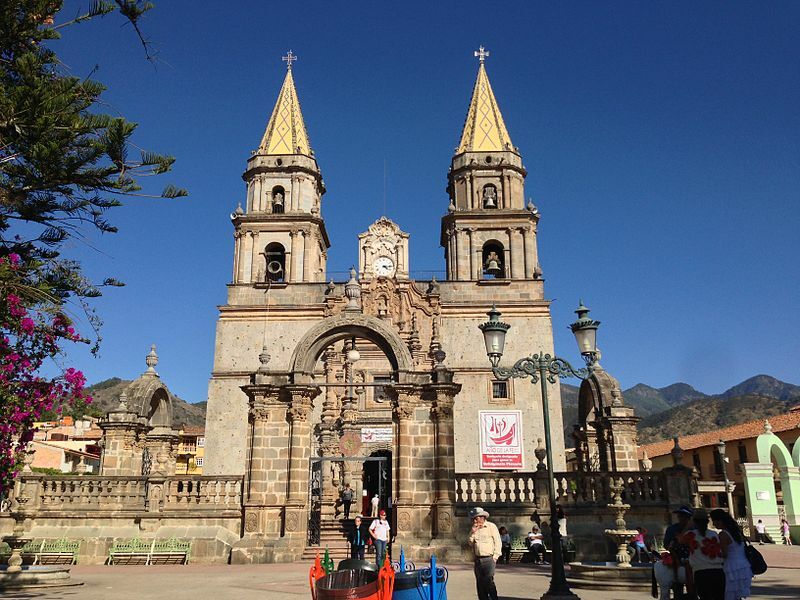 The basilica was built between 1682 and 1690 to house the holy image of the Virgin of Solitude (Soledad), Oaxaca’s patron saint. The statue stands inside the church, decorated with 600 diamonds and topped with a 4-lb gold crown. 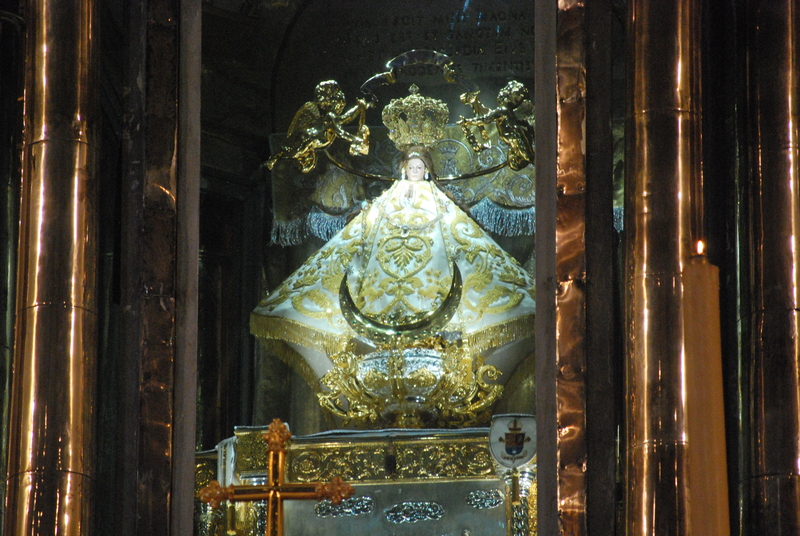 Her vestments are encrusted with pearls. In the 1980s robbers removed her jewel-studded crown; she now has a replica of the original and stands in a glass-covered shrine. Many locals come to pray before the image, as she is believed to have the power to heal and work miracles. 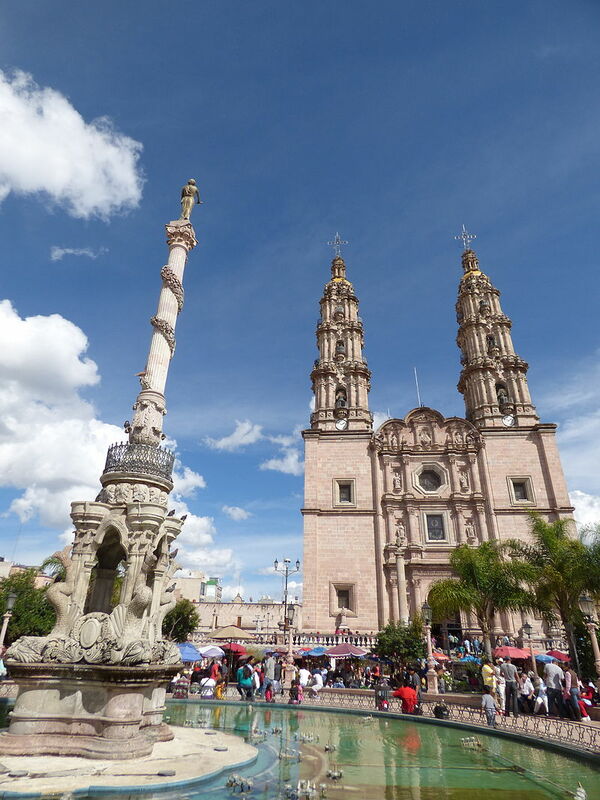 A major festival on December 18 honors the Virgin, attracting the faithful from all over Oaxaca. According to legend, the image of the Virgin was found in the pack of a mule that sat down on an outcropping of rock and refused to get up. When the image was discovered, the Virgin appeared, and a basilica was constructed to commemorate the event. The outcropping of rock is surrounded by a cage of iron bars immediately to your right along the wall as you enter the church. The concave facade of the Basilica de la Soledad, projecting forward from the building, is unique in Mexico’s religious architecture. The way the top is rounded and the tiers are divided suggests an imitation in stone of the traditional carved wooden retablos (folding altarpieces) common in Mexican churches. It is the most important temple of Patzcuaro, whose peculiarity is that it is not located in the central part of the city, near the headquarters of the civil power, as in most of the cities projected in the first centuries of the Colony. 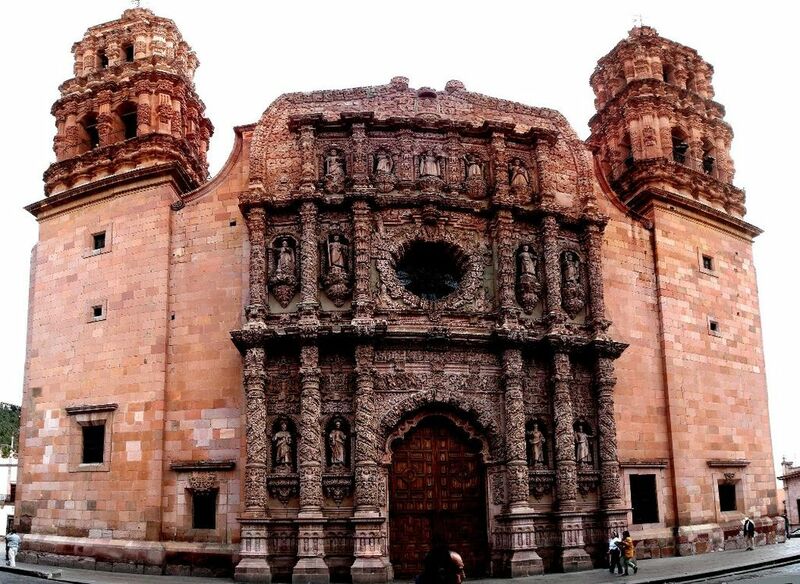 It was built by order of the first Bishop of Michoacán, Don Vasco de Quiroga, on a pre-Hispanic ceremonial center, which meant a religious transformation. 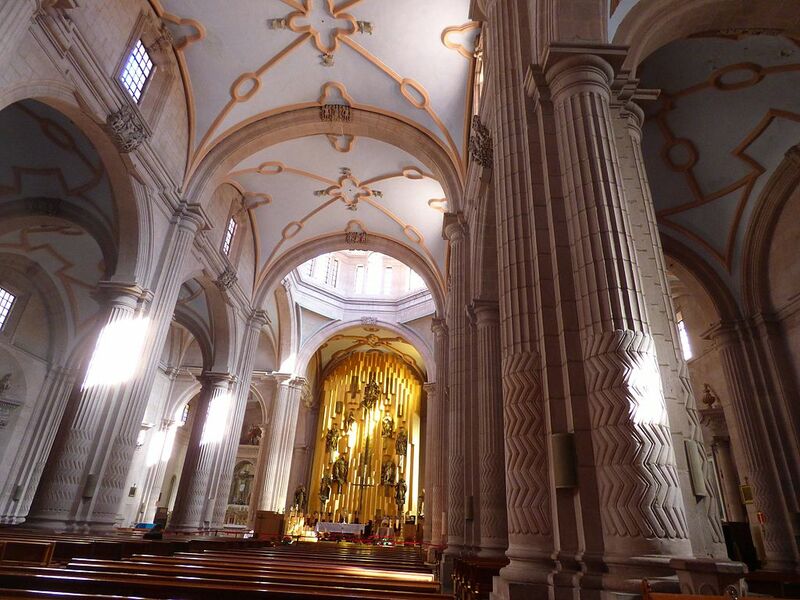 It functioned as a cathedral seat until 1580 when it was decided that Valladolid (Morelia) would fulfill this task. It was designated Basilica since 1924 and the building that can be admired today is the result of several reconstructions. Its facade is simple with few ornamental elements. Inside is the figure of the Virgin of Health, patron of the region. It is a beautiful image modeled on corn-cane paste dating from the sixteenth century, to which many pilgrims come to offer their devotion by begging for the health of the sick. The remains of Don Vasco de Quiroga rest in this place. 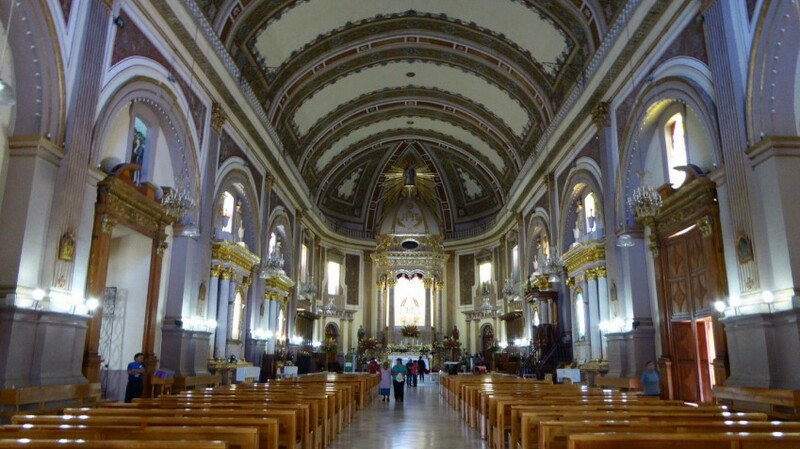 also called San Juan de los Lagos Cathedral It is a Catholic church located in the city of San Juan de los Lagos, in the state of Jalisco, Mexico, headquarters of the diocese of San Juan de los Lagos. 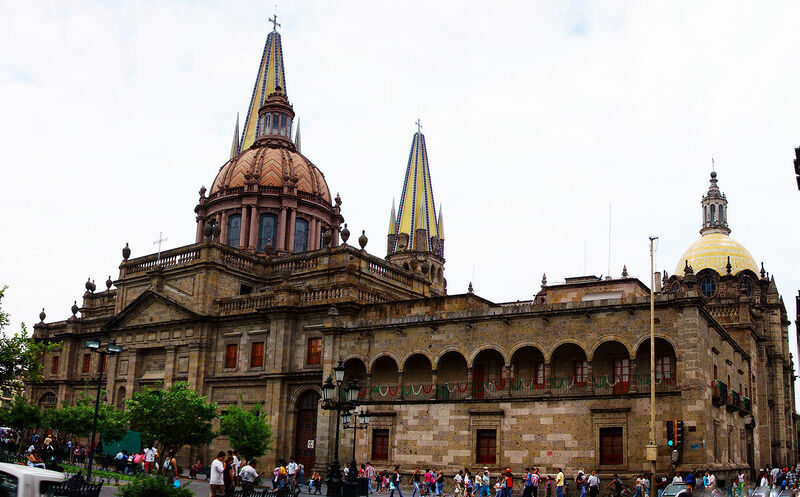 This Cathedral-Basilica ranks second in the number of visitors in the country (more than 7 million pilgrims a year) after the Basilica of Our Lady of Guadalupe. 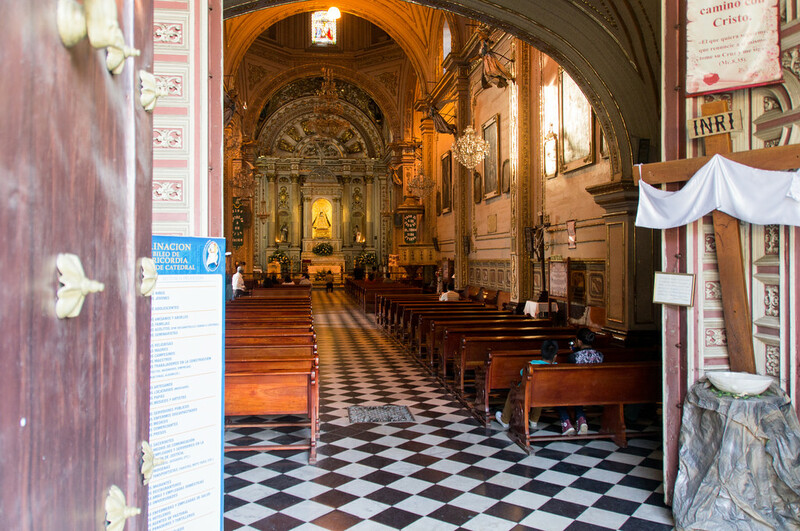 The first shrine was built by Diego de Camarena in 1642, now known as the chapel of the First Miracle (capilla del Primer Milagro). 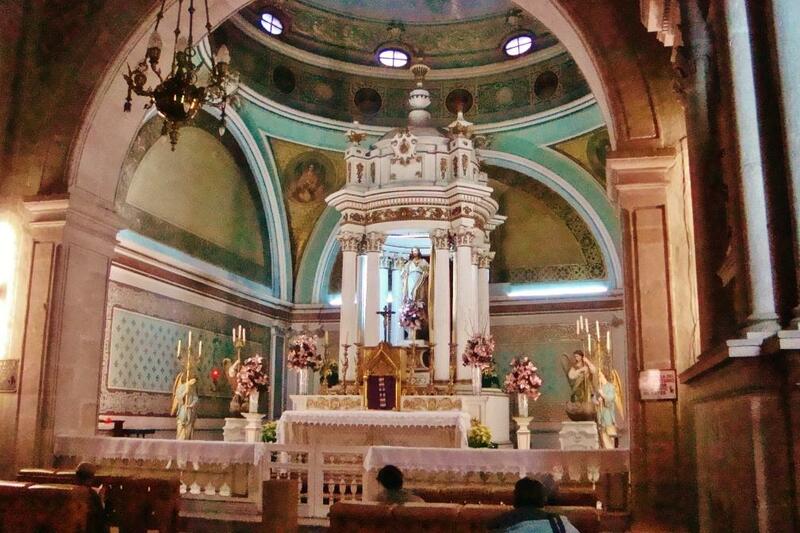 Later, in 1682, he completed the construction of the second sanctuary, which is now the parish of San Juan Bautista. In the period 1732-1769, Carlos Cervantes, bishop of Guadalajara, was responsible for the construction of the current basilica. This earned the rank of cathedral 1972, through the Apostolic Constitution of Pope Paul VI. 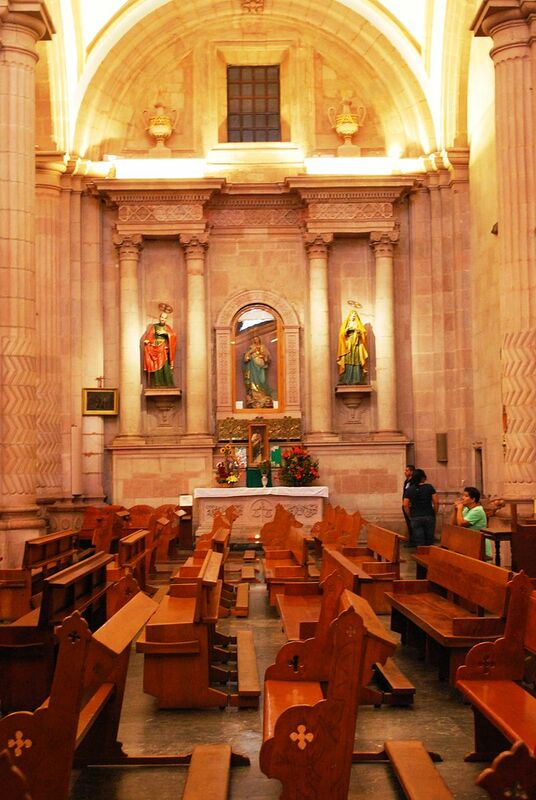 This temple, dating from 1755, was built with the purpose of housing the image of Our Lady of the Rosary of Talpa, which arrived in 1585 and was located in the temple in 1782. On November 27, 1946 he was granted the title of “minor basilica” by Pope Pius XII, which was confirmed in an act here, on May 12, 1947. This sanctuary has a rectangular atrium with three entrances and three covers of gray quarry, consisting of a semicircular arch decorated with reliefs of plant motifs and flanked by pairs of fluted columns and composite capital. Its main façade is quarry and consists of two bodies with finials, all decorated with Solomonic columns and niches with sculptures. On the sides of the façade are the towers of two bodies with arches and attached columns of Ionic capital. Inside, with a Latin cross plan, you can see eight neoclassical altarpieces, arched vaults, half orange dome, openings with stained glass windows and, in the pendentives, paintings by the four evangelists. 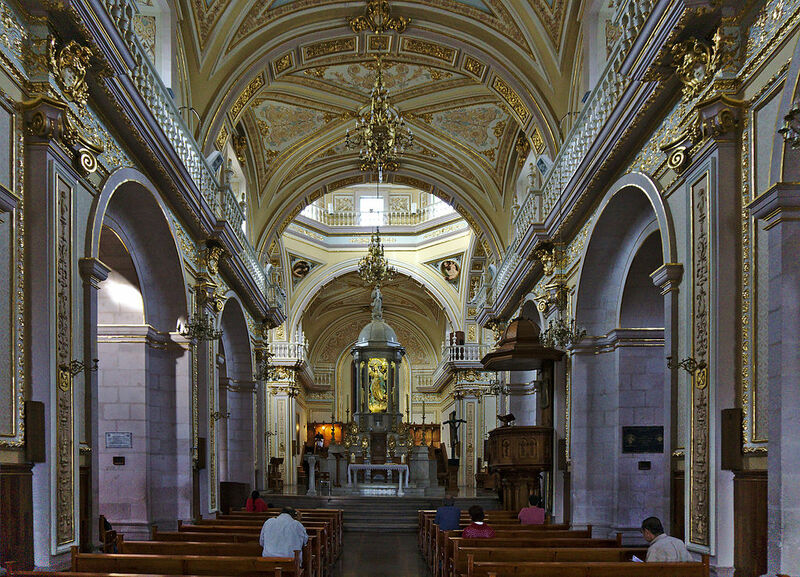 Along with the abbey of Our Lady of Expectation of Zapopan are a 17th-century Franciscan sanctuary built in downtown Zapopan, in the state of Jalisco, México. It is one of the most visited sanctuaries in Western Mexico, and it preserves a wooden Virgin that is considered a valuable relic of medieval origin, which came from Spain to New Galicia in the 16th century.The Huichol Museum is located in the building. Different tribes of indigenous peoples populated the region of Tzapopan since around the 12th century. The Spanish conquistadors, led by Nuño Beltrán de Guzmán, conquered this area in 1530 for New Spain. Missionaries soon followed. 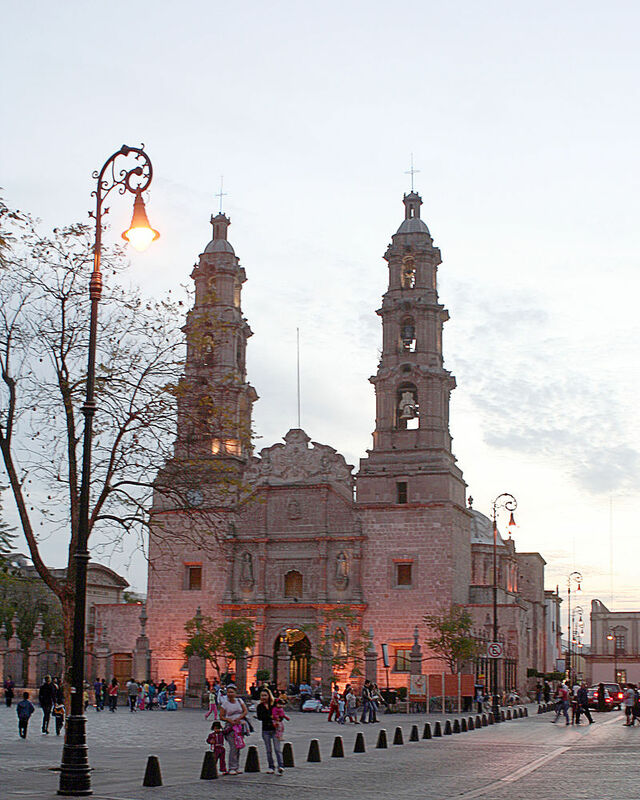 In 1541, on direction of the king of Spain, the town of Nuestra Señora de la Concepción de Tzapopan (Our Lady of the Immaculate Conception of Tzapopan) was founded. 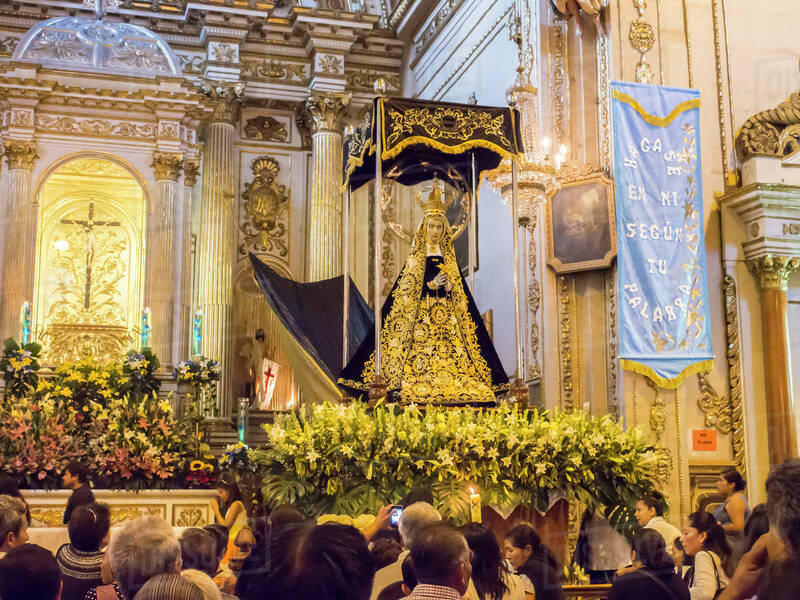 Local legend tells that the Virgin interceded between the Spanish and the indigenous peoples during the conquest battles, convincing the local population to lay down their arms and convert to Christianity. Major construction of the abbey and basilica began in 1689, although the original project underwent changes, additions, and conversions over time. The front of the church has a great vestibule, with Spanish Baroque portals that feature Ionic columns, sculptured reliefs, and large urns on pedestals. The windows of the priest’s rooms are on the side of the church. The main altar is made of Italian marble from Carrara. The pedestal for the statue of the Virgin was made of cypress by local artisans in the 17th century. The interior of the abbey has lodgings on the first and second floor and a chapel for the priests. There are also meditation gardens. The basilica serves as a seminary and a center of religious instruction for the Franciscans. Local legend tells that the Virgin came to the assistance of the local populace fighting for independence from Spain in 1821. In 1979 the Pope John Paul II visited the church. 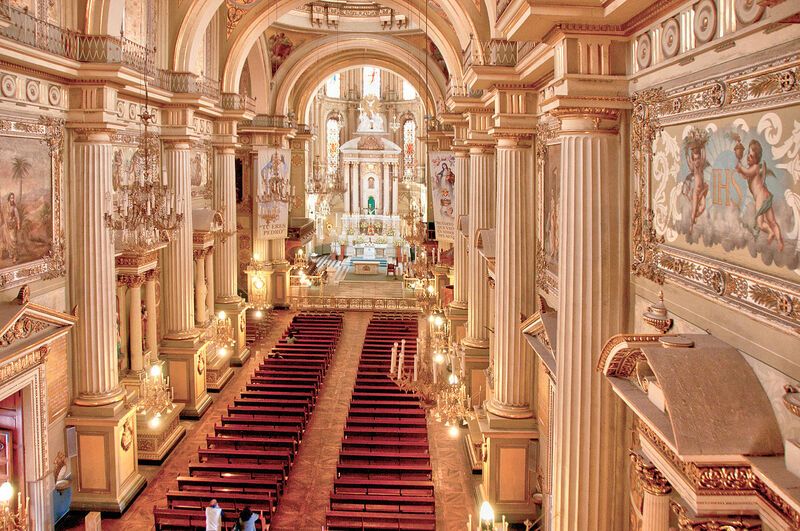 The basilica is a monumental example of 17th century colonial Baroque architecture, and is surrounded by other Spanish colonial architecture, such as the Chapel of Nextipac (Franciscan construction), the Chapel of Santa Ana Tepetitlán (a hospital founded by Franciscans). 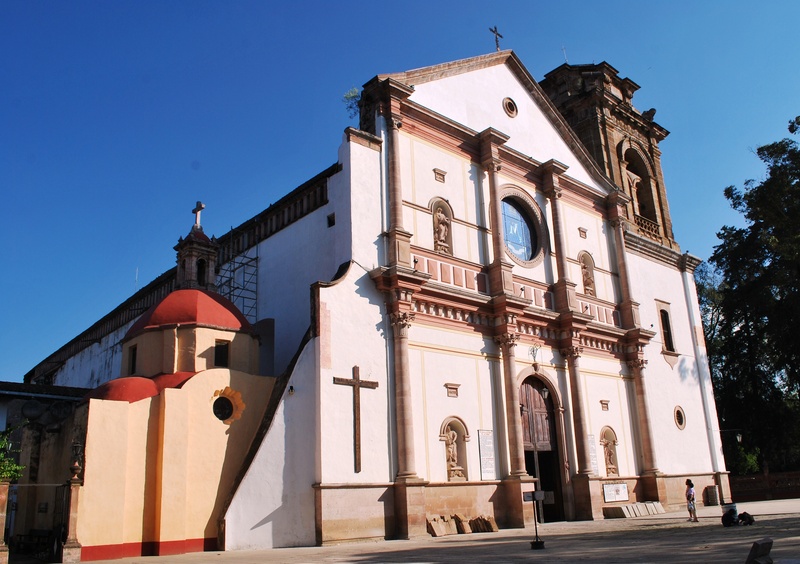 There are also later 17th century buildings such as the Neoclassical style Church of San Pedro Apóstol, Cruz Atrial de Tesistán, the Municipal Palace, and the Zapopan Entrance Arch. The current building was preceded by two temples. The first was built in the year 1568, as a parish church of the city, which was of small dimensions. A second temple was built in place of the old and was known to be consecrated in 1625. In order to build a temple of larger size worthy of the city of “the aristocrats of silver”, everything built was demolished, and the walls of the building we meet in our day rose. The first stone was laid by Don José de Izarraguirre, episcopal vicar. The work was dedicated in 1752 and consecrated in 1841, when the construction of the façade and the north tower was completed, the latter work by the master builder Dámaso Muñetón. This tower holds a clock donated by Governor Genaro García Rojas. In 1862, Pope Pius IX gave the church cathedral status. And finally, in the year 1959, Pope John XXIII elevated it to a basilica. The cathedral’s interior bears an austere and functional appearance, which greatly contrasts with its richly decorated exterior. This can be seen with its large Doric columns and neoclassical side altars. On the keys of the arches, there are Marian symbols, figures of saints, evangelist, clergy and objects of passion. 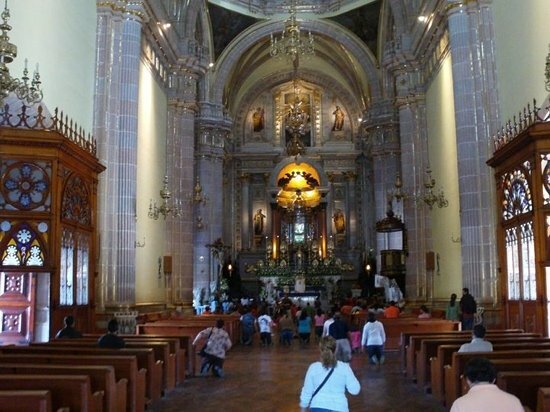 The cathedral contains an altar designed by artist Javier Marín from Michoacan, which is gilded in 24-carat gold. It is 17 feet high and ten wide and covered with 25 kg of gold from Mazapil. It was constructed from geometric prisms born of the upper platform of the sanctuary and contains niches where elaborate images of saints are placed. It weighs about 20 tons and is made of Finnish birch, a very hard wood that neither expands or shrinks, as it does not react to changes in humidity. 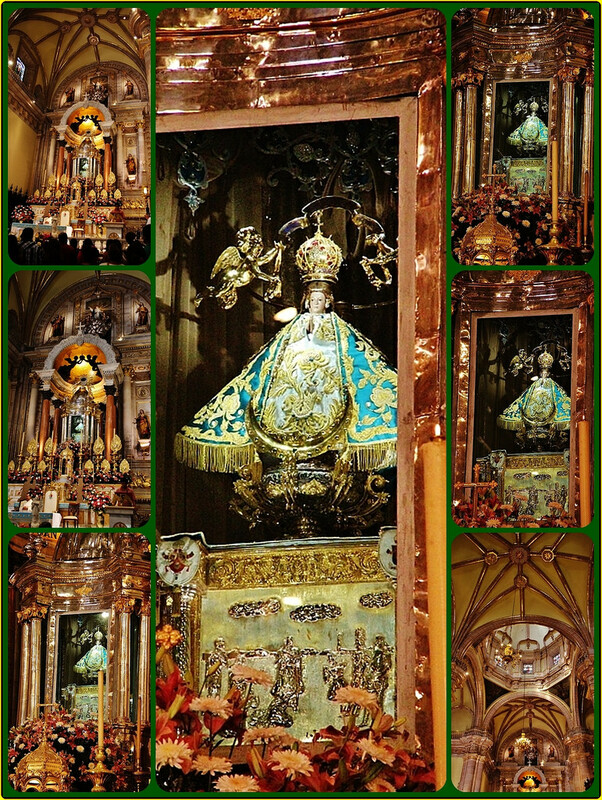 The altarpiece has eleven images. At the top is the Virgin of the Assumption, who is consecrated the temple. 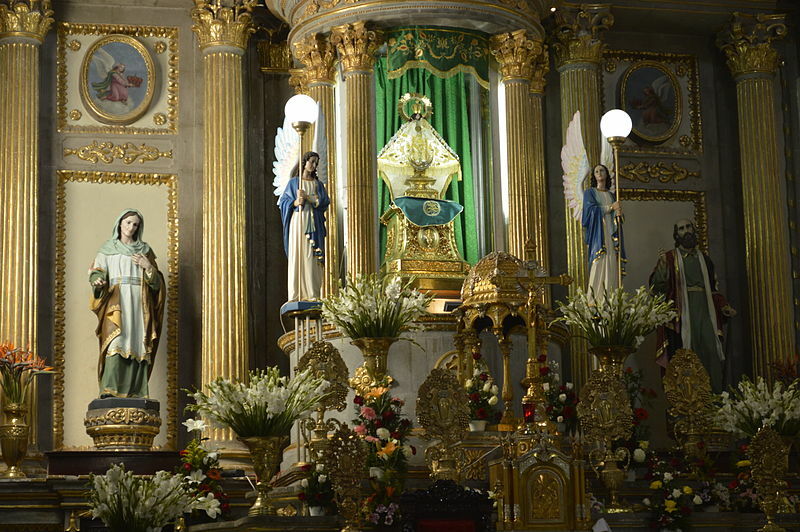 On both sides are the parents of the Virgin, Santa Ana and San Joaquin. In the lower part are San Juan Bautista, San Agustin, Santo Domingo, San Antonio de Padua and San Ignacio de Loyola. On the sides were placed images of the martyrs San Mateo Correa and Blessed Miguel Agustín Pro. The cross is made of bronze and measures 4.2 meters high and two meters wide.